Now when you sign up for service with 212areacode.com you are signing up for one full month of call forwarding service, this service includes 100 call forwarding minutes to any US phone number. You will receive access to your number and be able to modify the forwarding number; you may also sign up for a full service account with unlimited usage* for $24.99 per month. If that is too much, you can also sign up for our parking services; $12 per 90 days with the same 100 minutes per month of call forwarding. If you still wish to port the number you signed up for to another carrier you may do so without limitations as permitted by law. How do these changes affect you, the customer? Well, it doesn’t really, you will simply get more for your buck; you will receive a full month of service with 100 minutes to forward to your phone number and if you wish to use another carrier with this 212 number that is your choice and you may port/transfer the number to your preferred carrier within 30 days. Tired of carrying 2 phones everywhere, one for your old number and one for your new 212 number? You’re in luck; T-Mobile has announced that starting May 31st any customer can have another set of Digits with one device, this way you can carry one phone and have both numbers, your old number and your brand new 212 phone number. Over 30 million people across the US carry more than one phone, from now on there’s no more juggling or laying out more dough for another phone; one phone, two numbers. According to T-Mobile you can now port any number into this new and exciting service and use across many other devices, including your friends when you’re out of juice. Even better, if your current cell phone is with another provider and your employer provides you with T-Mobile service, they can assign you a Digits line, this way you get to keep your existing number and carry only one phone. Manhattan is set to get a new area code on June 10th: 332, this new area code is not going to replace any existing area code but will rather be an overlay to the 212 and 646 area codes which are exclusive to Manhattan. While 212 is mainly used for landlines and are no longer being distributed, 646 numbers are assigned for both landlines and cell phones. How is this new are code affecting current residents? Not much, except that new residents and new lines being initiated will be assigned this new 332 area code. Now, who wants this new area code? not many, it seems like most people will rather stick with their exclusive 212 area code or the less popular 646. So now is the time to get a 212 area code phone number before you get ‘stuck’ with a 332 (3rd tier) area code. In short: Yes, you can port any 212 number purchased form us to Google Voice. If you’ve given Google Voice a shot in the past, you may have held off on switching over entirely due to the inability to port your mobile phone number. People get attached to their phone numbers – it’s simply human nature. This phenomenon is especially likely if you’ve invested money in a snappy 212 phone number. After finally securing a number with a cool area code, the last thing that you want to do is hand out an awkward Google Voice number – right? Thankfully, it looks like Google is finally opening the floodgates and allowing number porting. Like many of Google’s other services and features, Google Voice phone number porting* is remarkably easy and intuitive. Simply log on to your Google account as usual; click over to your Google Voice settings page. There, you should see a “change/port” option. By clicking on that, you will be asked to input the number that you’d like to port. Google will analyze it to see if it’s eligible for porting. If it is, you’ll just click through a few disclaimers – just as you would when opening up a new email account – and you’ll be good to go. In short, you’ll be able to use your new 212 phone number without facing early termination fees and other penalties. One of the most beautiful things about Google Voice is that it lets you simplify the phone numbers in your life. Instead of handing out one work number, one cell number and one land-line number, you can just give people your Google Voice number. By dialing it, calls can be routed to any and all of your phones. You can sweeten the deal by porting over a trendy 212 phone number and giving it out instead. Without a doubt, a marriage between Google and the 212 area code is a beautiful thing. There are a lot of perks to using Google Voice. Most notably, it allows you to save a huge amount of money on phone calls. One drawback that keeps many people from fully embracing this free service is that they don’t want to keep their computers turned on and logged in at all times. If you’d like to use a traditional phone in conjunction with Google Voice, there is an easy way to do so. The Obi110 device allows you to use a regular landline phone to make and receive calls through Google Voice. You can sweeten the deal by pairing it with a 212 area code phone number. In order to use Obi110 with Google Voice, you need to buy the actual device. You can find it for very reasonable prices online. While you’re at it, purchase a 212 phone number. You’re going to need a regular computer to get through the registration process too. Once your Obi110 device is all set up, though, you won’t have to use your computer to take advantage of free calling with Google Voice. It’s well worth it to invest in an Obi110 device, and it can be used with your existing telephone. Next, you’ll net to sign up for and configure an ObiTalk account. The process is totally streamlined and couldn’t be easier. Once you’ve set up your account through www.obitalk.com, click on the “Add Device” link. Within that menu, you’ll see an option that allows you to set up Google Voice. Follow the onscreen instructions. You will need to provide your Google email address and password. You will be given steps to confirm that you have made the right settings, and your Obi110 should be enabled to take and receive calls via Google Voice in no time. Throw in a great 212 telephone number and you’ll have the ultimate, low-cost setup. UPDATE: Ring.to is now a paid service, just $18 a year, still a good bargain. There are a lot of perks to using Ring.To. Most notably, it allows you to save a huge amount of money on phone calls. One drawback that keeps many people from fully embracing this free service is that they don’t want to keep their computers turned on and logged in at all times. If you’d like to use a traditional phone in conjunction with Ring.To, there is an easy way to do so. The Obi device allows you to use a regular landline phone to make and receive calls through Google Voice. You can sweeten the deal by pairing it with a 212 area code phone number. In order to use Obi device with Ring.To, you need to buy the actual device. You can find it for very reasonable prices online. While you’re at it, purchase a 212 phone number. You’re going to need a regular computer to get through the registration process too. Once your Obi device is all set up, though, you won’t have to use your computer to take advantage of free calling with Ring.To. Its well worth it to invest in an Obi device, and it can be used with your existing telephone. Next, you’ll net to sign up for and configure an ObiTalk account. The process is totally streamlined and couldn’t be easier. Once you’ve set up your account through obitalk.com, click on the “Add Device” link. Within that menu, you’ll see an option that allows you to set up Ring.To. Follow the onscreen instructions. You will need to provide your Ring.To credentials. You will be given steps to confirm that you have made the right settings, and your Obi should be enabled to take and receive calls via Ring.To in no time. Throw in a great 212 telephone number and you’ll have the ultimate, low-cost setup. It’s understandable to not want to pay for an additional phone number; after all, it often means having to pay for multiple lines of service. 212areacode.com is happy to announce, though, that there is a simple and affordable way around this issue. It’s offered by Ring.To, a service of bandwidth, a company that’s transforming the way people communicate and challenging the standards of old telecom. Haven’t heard of bandwidth? It may surprise you to know that you’ve probably used one of their products before. They power some of the most important communications technologies on the market today—names like Google, Skype and Vonage to name a few. They’re also behind republic wireless, the mobile phone product that’s changing the game on what it means to own a smartphone through our hybrid calling technology. What Are the Benefits of Ring.To? Ring.To is a great service to pair with 212areacode.com for a number of reasons. Most importantly, it’s free and it lets you make use of a 212 phone number without having to commit yourself to a new cellular provider. You don’t have to worry about replacing your existing services, and you don’t have to deal with a double or triple phone bill. When people call you at your 212 phone number, their calls will automatically be routed through Ring.To to the phone number you decide. Your existing cell phone, office phone or land line phone will ring and you’ll be able to take those calls in a seamless and easy way. What Can You Do With Ring.To? Simply transfer your number to Ring.To and you can start enjoying all these benefits and more – for free. That’s right … We said free! 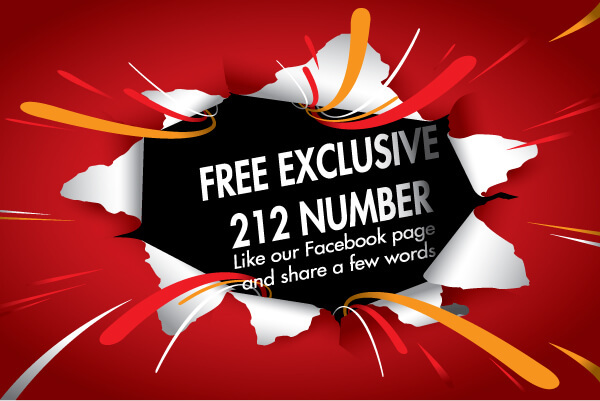 If you’ve been on the fence about getting an exclusive 212 phone number, there’s finally an easy way to do so without committing yourself to a whole new number. You really can have your cake and eat it, too, when you sign up with Ring.To and buy an exclusive 212 phone number from 212areacode.com. What are you waiting for? A 212 number is the perfect way to enhance your image and show people that you mean business. Enjoy the perks of this world-renowned area code without losing the benefits of your existing service by signing up today! Ring.To has created apps for all smartphone including iOS (iPhone & iPad) and android. if you have an iPhone, you can simply launch the app and start making calls. On android devices, to initiate a call using the 212 number parked in Ring.To, you’ll need a GrooveIP account and app. Once installed, simply launch the app and log in with your Ring.To credentials when prompted. After logging in, you’ll be presented with keypad that allows you to dial out. Additionally, you’ll be able to receive calls on your GrooveIP app. At 212areacode.com, our clients tell us their success stories all the time. After all, a high-quality 212 phone number can enhance a company’s image and produce many other great benefits too. We’d love to hear more accolades from existing customers, as an incentive, we are putting on an exciting new contest. Learn more about it below. Did your calls go answered just because it was a number from the 212 area code? 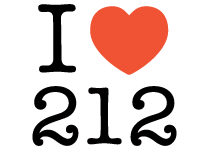 Describe the comments you received from colleagues when you gave them your new 212 phone number. Example: A 212 number on a cell phone? I didn’t even know that was possible! If you’d like to be the winner, put on your thinking cap and start typing! We look forward to reading all of your responses; good luck!